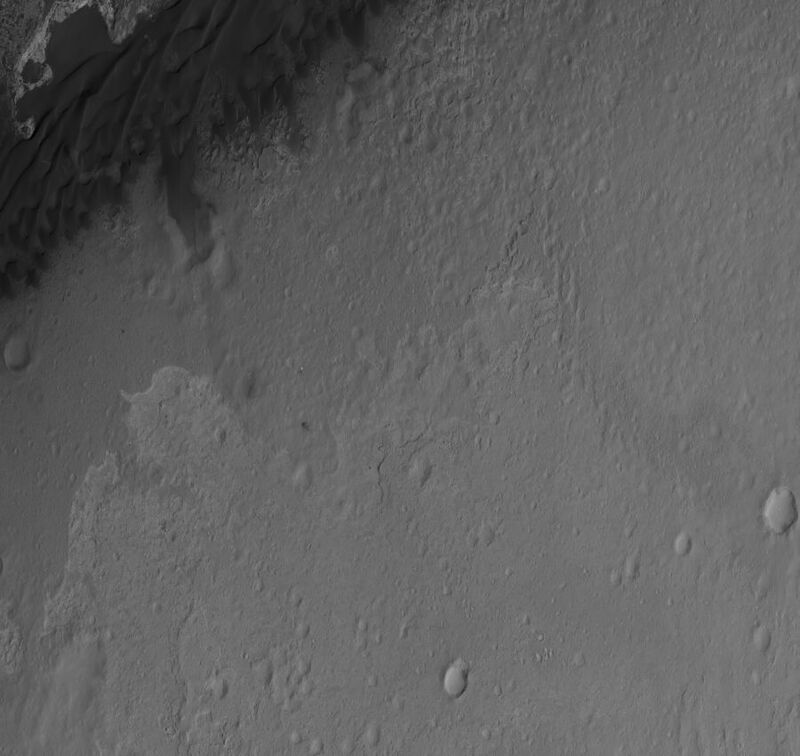 More awesomeness from HiRISE! A new orbital image shows the Curiosity rover sitting on Mars’ surface, along with all the accoutrements needed to get it there safely: the heat shield, backshell, parachute, and the Sky Crane. The High-Resolution Imaging Science Experiment (HiRISE) camera captured this image just 24 hours after MSL’s landing. “This is like the crime scene photo here,” HiRISE team member Sarah Milkovich said during a press conference on Aug. 7. Of course, yesterday the HiRISE team revealed they had captured MSL in the act of landing. In re-inacting the scene of the crime, er… incredible landing, the heat shield, lower right, was the first piece to hit the ground, followed by the back shell attached to the parachute, then the rover itself touched down. Then, and finally, after cables were cut, the sky crane flew away to the northwest and crashed. The heat shield is about 1,220 meters (4,000 feet) from Curiosity, the backshell and parachute are about 610 meters (2,000 feet) away from the rover, and the Sky Crane is about 620 meters (2,100 feet) away. The relatively dark areas in all four spots are from disturbances of the bright surface dust, revealing darker soil underneath. If you look closely, even visible are the black streaks where the sky crane thrusters kicked up dust. Malkovich said scientists have looked at the streak patterns to verify Curiosity’s orientation — which confirms the information from the rover’s first pictures from surface. The darkened radial jets from the sky crane are downrange from the point of oblique impact, much like the oblique impacts of asteroids. In fact, NASA said, they make an arrow pointing to Curiosity. HiRISE’s image of MSL’s landing site shows the rover and the hardware doing their jobs exactly as they were designed to do. The image was acquired from a special 41-degree roll of MRO, larger than the normal 30-degree limit. It rolled towards the west and towards the Sun, which increases visible scattering by atmospheric dust as well as the amount of atmosphere the orbiter has to look through, thereby reducing the contrast of surface features. Malkovich said that future images taken from a higher angle will show the hardware in greater detail. See larger versions and additional info at the HiRISE website. Your crop of the sky crane seems to be flipped relative to the context overview. First impression? Dust.. extremely light dust, on the surface anyway is to be expected. I am beginning to see a reason for Curiosity to visit one of the other impact sites… NASA so far thinks otherwise. 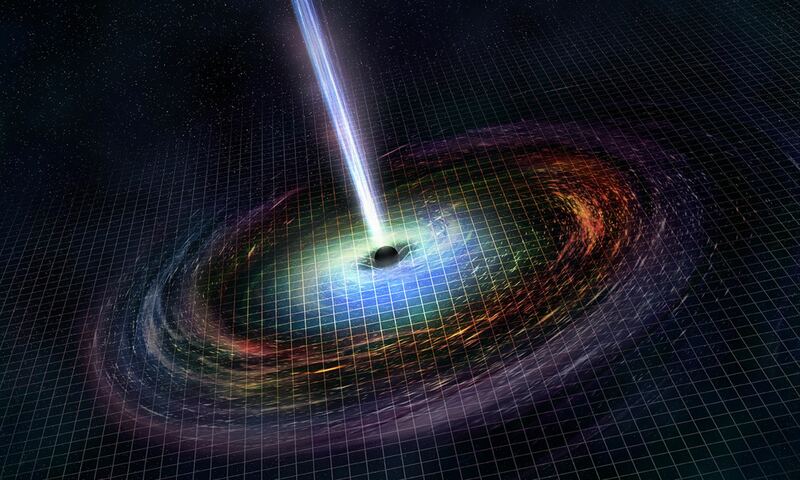 Tay, take spectroscopy with and without a dust covering…. So the dirt that was exposed to the rockets has a darker color. Similar to the footprints of the moonlandings. By “dirt”, you mean the underlying darker strata? Am wondering what kind of excavations might be done with jets of compressed N2 or other inert gas? Too bad NASA dint include a “leaf blower”? One mounted, on say, a miniature robotic arm? Am leaning toward a lens cleaning/rock dusting ‘leaf blower’ mechanism…. By the way… I could design and document that idea… if anybody’s interested? with a little more fuel and code that skycrain could have landed and been repurposed as a solar powered weatherstation/seismograph logger. lovely little bugger. the coordination of those 8 motors is most impressive. good idea, it seems only litter now . . If that’s the case, I’m sure you could substitute “poor bugger” with “archaeologist” and “clean that mess up” with “preserving the artefacts at the Smithsonian”. You could easily claim that anything we dig up today at archaeological sites is “garbage”. It probably was at the time. I hear that was at one point a consideration, re-purposing the crane as a secondary science unit, but per the added complexity to the over-all mission as well as weight added for extra instruments, it was scuttled. “…solar powered weather station and seismometer…” I like your thinking! 20-20 hindsight eh? Looks like Curiosity is just 300 m from the alluvial fan due north. It is a pity they if wouldn’t go and take a look before reversing towards Mount Sharp. It is what, 1-2 weeks excursion time? I agree, but I’d say they would wan’t to focus on the mission priorities ATM. It’d be a shame if this rover died and there was little science returned. Mars scientists are well aware of the rock varnish story and its significance as bio- signature. Actually the MER’s already got some nice hints in regards to the FE/MN ratios in certain samples for instance. BUT Mars scientists are trained to stick to mission objectives therefore such interesting things are mostly ignored – detecting life extant/extinct has been no mission objective since Viking on Mars. Gale crater though was the worst landing spot of the remaining 4 from an astrobiology point of view. For astrobiologists Mawrth Vallis or the Eberswalde delta would have been the place to go. A request here: I am trying to find a more zoomed-out image on which I can pinpoint the geological features seen in the image at the top of this article (particularly the boundary between the light rock and the dark rock). I want to see precisely where that is in the wider context of Mars geography. Anyone know where to find one? Images that show the whole of Gale Crater are too zoomed out for the same features to be recognisable. this is how a bottom of a huge crater looks like? I mean the place where Curiosity was supposed to get in . @Deejay – I don’t understand what point you are trying to make. Curiosity *is* inside a huge crater, next to an in-crater mountain – so these images really are what the inside of a huge crater looks like from the viewpoint of a satellite orbiting overhead. Ya, the crater is about 96 miles in diameter with a central peak rising about 3 miles from it’s bed. The large size makes it look uncrater-like from the middle. I believe these robotic probes sent to Mars prove that robotics is the way to explore the solar system. Has anyone seen an image like this showing the landing ellipse? I’d be interested to know just where in the landing ellipse Curiosity touched down.